Buster is little, but Buster wants to have an important job like Daddy. The problem is Buster is afraid of loud noises. Even his own toys crashing to the floor make him jump and the loud honks from the big trucks almost make him have an accident. 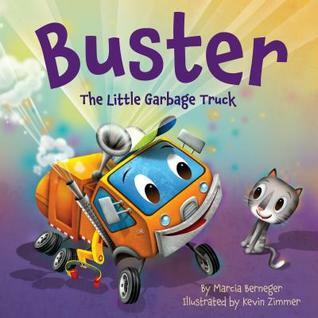 But when his kitty in in danger, Buster gives the loudest sound he can to save him. All the trucks are proud of him, especially his Daddy! 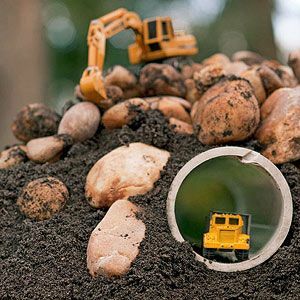 A great story for everyone who can’t wait to grow up and have an important job. 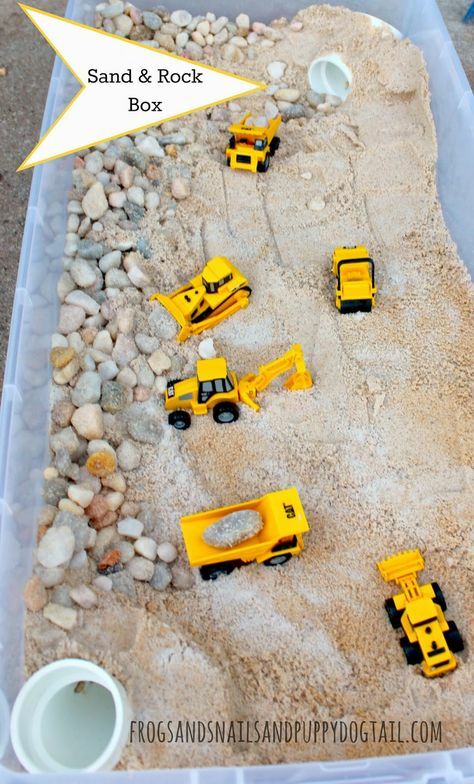 If you have lots of little trucks in your house, be sure you build a sensory box like this for your young driver to dig, scoop, and move. 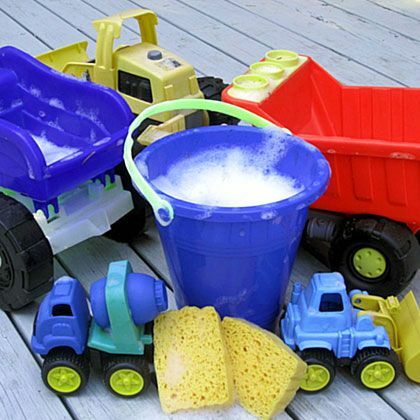 And when you’re done playing the sand or dirt, send your trucks through a Scrub-a-Truck Wash! 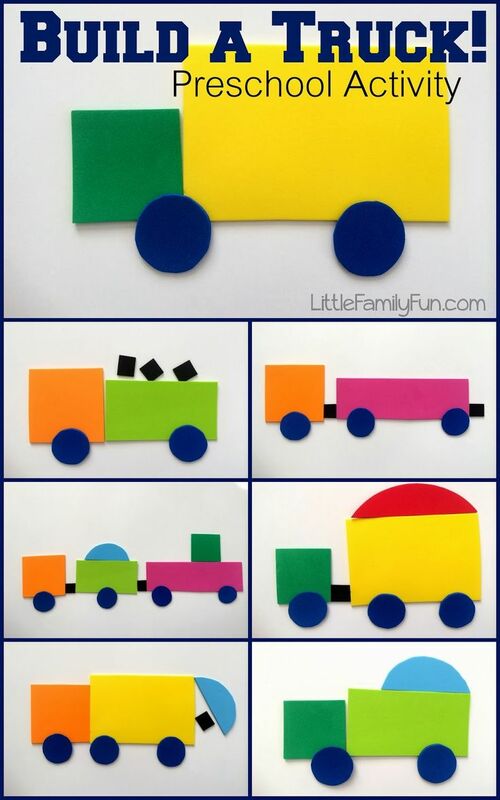 These are foam pieces, but you could also make them out of felt or construction paper. So happy you found this Marcia! 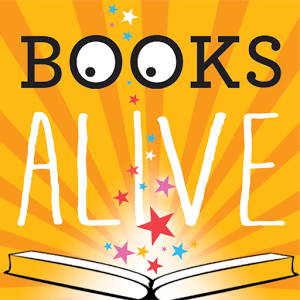 I spent a whole year pairing books with activities for budding readers. It was a labor of love and I was honored to find fun things for kids to do with parents, teachers, and caregivers.